FamilyCare Medical Group has multiple locations looking for qualified LPN's and Medical Assistants. FCMG offers medical, dental, vision, flexible spending ana 401K. Interested cadidates should forward their CV to careers@fcmg.org. Are you a physician looking for a place to start or continue your career? 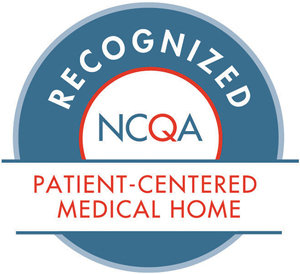 See what FamilyCare Medical Group has to offer. FamilyCare Medical Group, P.C. is a proud sponsor of the Onondaga County Annual dinner meeting. At the 7th Annual Excellence in Healthcare event FamilyCare Medical Group was awarded the Health Care Facility of the Year award for Onondaga county. On October 11, 2018, Dr. Heather Wasileski and Dr. Gabriel Lurvey held an open house and ribbon cutting at their new location located in the Health Central Building, 37 West Garden St. in Auburn. The Cayuga County Chamber of Commerce and board members toured the new office. The new location offers easy parking and on-site blood draws and radiology services. To schedule an appointment with this office, you may contact them at (315) 604-4406.